Attorneys for former Republican National Committee finance chairman and Trump ally Elliott Broidy have issued 43 subpoenas in an investigation following the hack of his email account by what Broidy alleges was the state of Qatar, according to multiple sources involved in the investigation. Broidy's legal team is preparing more subpoenas in a case alleging that Qatar orchestrated a spear phishing hack of Broidy's email, in retaliation for Broidy's anti-Qatar advocacy with the Trump administration. The lawsuit says that individuals working for Qatar in Washington and New York, including both registered and unregistered foreign agents, distributed the hacked emails to reporters, fueling a series of damaging media stories. Several prominent news outlets ran stories in recent months based on emails obtained from the Broidy hack, including the Wall Street Journal, Bloomberg, the New York Times, McClatchy, and the Associated Press. The stories revealed details of Broidy's interactions with Qatar's Gulf-region rivals, and his efforts to persuade President Trump and other administration officials to side with Saudi Arabia and the United Arab Emirates against Qatar in their ongoing dispute in the region. The leaked emails appear to show Broidy was reporting back to UAE representatives regarding meetings he held with President Trump and administration officials. In at least two instances in which records have already been obtained—those concerning stories in the AP and McClatchy—subpoenaed phone records show that Nicolas Muzin, a former deputy chief of staff to Sen. Ted Cruz (R., Texas) who was a registered foreign agent for Qatar, had been in close contact with reporters who soon thereafter published stories based on the Broidy emails. 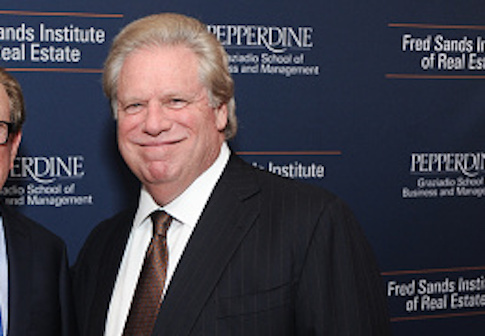 In the weeks leading up to the May 21 publication of a lengthy AP story on Broidy, Muzin and AP reporter Tom LoBianco spoke approximately three dozen times, according to subpoenaed phone records viewed by the Washington Free Beacon. Muzin and McClatchy reporter Ben Wieder held at least four calls on January 25 and 26, the phone records show. In March, McClatchy ran a lengthy article based on the hacked Broidy emails. The AP reporter, LoBianco, left the AP a day after the Broidy story was published. Both the AP and McClatchy told the Free Beacon that they do not comment on their sourcing. LoBianco did not respond to a request for comment. Individuals once tied to Qatar, including Muzin and Joseph Allaham, have publicly cut ties with the country or have criticized Qatar in recent days as the legal landscape shifts against the Middle Eastern nation. On June 6, Muzin announced on Twitter that his firm, Stonington Strategies, "is no longer representing the State of Qatar." A day later, Joseph Allaham, a New York restaurateur who is accused of working for Qatar and with Muzin, also abruptly severed ties with Qatar, telling Politico that "Qatar enjoys portraying themselves as the purveyor of peace in the region, but this could not be further from the truth." Allaham, who was being paid by Qatar but had not filed with the Justice Department as a registered foreign agent, announced he would register. Allaham's legal troubles recently deepened when a federal district court judge in New York ordered him for the third time to comply with a Broidy subpoena seeking records and documents related to the hack. Allaham had gained extensions first by citing his wife's pregnancy and then the birth of a child, finally earning a harsh rebuke from the judge. The failure to produce documents, "combined with the fact that no response, not even an objection, was filed by the compliance date … further suggests that Allaham never intended to comply with the subpoena or produce any documents whatsoever" the judge ruled. Other defendants in the case include Mohammed bin Hamad, a senior Qatari regime official who leads the country's public relations and lobbying efforts in the United States; Ahmed Al-Rumaihi, a former Qatari diplomat and head of a $100 billion Qatari sovereign wealth fund; Jamal Benomar, a former United Nations official who lives in New York and works for Qatar; and the cyberintelligence consulting firm Global Risk Advisors, which was hired by Qatar in 2017.